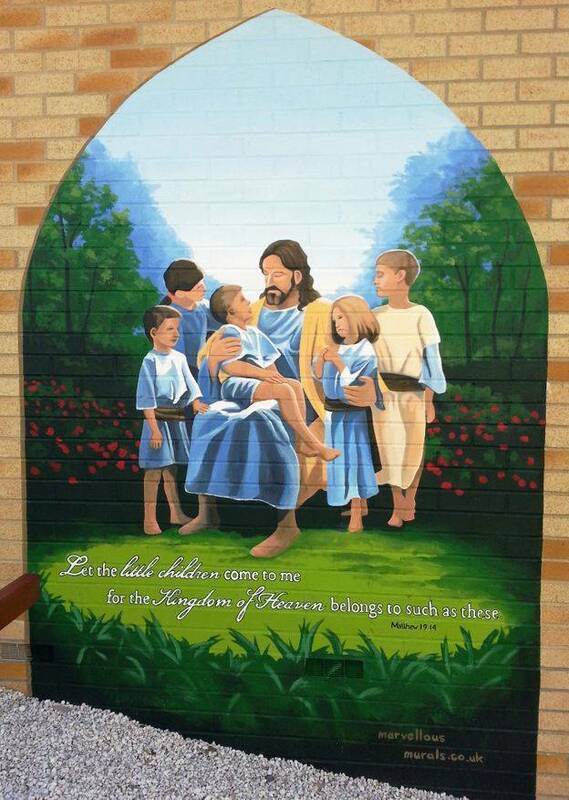 This mural was painted in the prayer garden of a Catholic Primary School in Basingstoke. It illustrates a line of scripture, which has been included at the base of the mural. We painted this as if seen through an archway so that it fit in with it's surroundings. We then finished with two coats of anti graffiti varnish. This adds extra protection due to it being in a school setting and being outside. This took us five days to complete.